In the aftermath of yesterday’s European election results, the great political question of the day is where precisely does UKIP stand on facial hair? UKIP leader Nigel Farage who is perpetually clean shaven is very probably a pogonophobe although as the equally perpetually hirsute Michael Rosen has pointed out to me, UKIP has some supporters with beards. Accuracy on matters UKIP is not easy to achieve. The party itself is an unreliable guide and the BBC guided by the follicly challenged Nick Robinson isn’t much better. 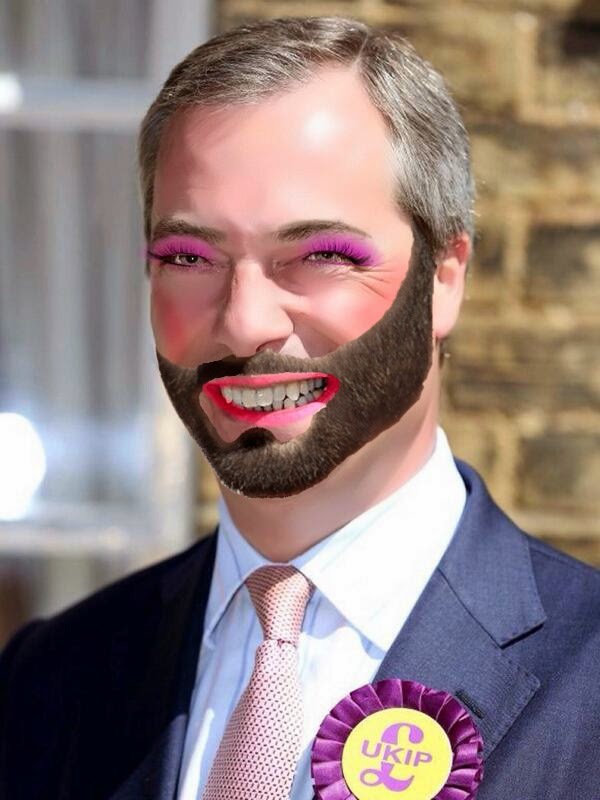 However at the end of the week which saw a supposed quote from Farage about Muslims and beards to the effect that either the beard went or the wearer did and that beards should be no more than two inches in length achieve wide currency, a small attempt at accuracy can surely do no harm. This entry was posted on May 26, 2014 at 5:36 pm and is filed under Beards, Politics with tags beards, Elections, Politics, UKIP. You can follow any responses to this entry through the RSS 2.0 feed. You can leave a response, or trackback from your own site. If you can stand on facial hair, then your beard is too long. Unless you are standing on someone else’s facial hair. Which reminds me of the Spinal-Tap drummer who died by choking on vomit…but it’s not clear whose vomit he choked on.